Every year hundreds of travelers descend on the city of New Orleans. The Big Easy, infamous for its yearly Mardi Gras celebration and the daily revelry on Bourbon Street, is the cultural heartbeat of Louisiana. Whether you are a lover of jazz, shopping, music, gothic cemeteries, beautiful old homes, literature, art, golf, the Saints or the Mississippi River, New Orleans has a little bit of something for everyone. Nestled at the residential end of Bourbon Street is La Maison Marigny, Bourbon Street�s only Bed and Breakfast establishment. Guests of the Bed and Breakfast have the best of both worlds. While enjoying the peace and quiet beauty of the city, they are only minutes away from the hustle and bustle of the other end of Bourbon Street. 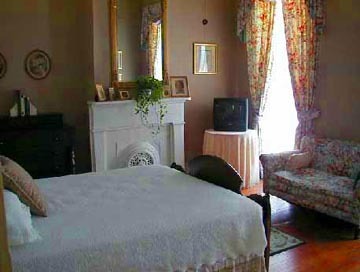 La Maison Marigny has earned accolades from several publications including Travel and Leisure magazine, which called the Bed and Breakfast one of the Top 10 B & B�s. La Maison Marigny is conveniently located near many of the destinations that have made New Orleans one of the most unique and wonderful cities in the United States including the historic French Market, Jackson Square, the St. Charles Avenue streetcar line and the House of Blues. Because the house in which La Maison Marigny resides was built at the end of the 1800�s, the ceilings are 12 feet high. This allows for not only a feeling of spaciousness, but also an abundance of natural light pours into the guest rooms. 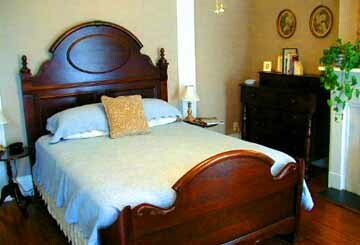 All accommodations are furnished with an antique/reproduction queen size bed. The beds are dressed in soft 270 thread count linens. Area rugs cover the beautiful hardwood floors. The private bathrooms in each guest room have recently undergone extensive renovations. Added features include ornate Italian tiling and extra storage space. Plush oversized bath towels and luxurious toiletry items from companies such as Bath and Body Works and Neutrogena await guests in the bathrooms making bathing a relaxing experience. The in-room amenities offered at La Maison Marigny provide guests of the Bed and Breakfast with all of the comforts of home. All accommodations feature central air conditioning, heating and a ceiling fan in order to ensure maximum comfort for all guests. Each guest room has its own remote controlled color cable television with over 75 channels. 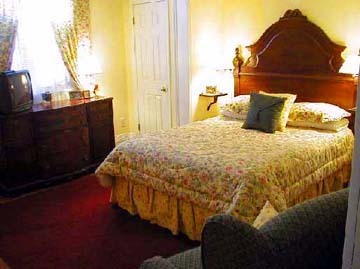 Guests can easily keep in touch with the �real� world while on their trip to the Big Easy via the in-room telephone. Want to surf the information highway using your PC? No problem, all accommodations have modem access. Guests who are on their first visit to New Orleans will appreciate the city tour books and city guides that are located in each room. The staff at La Maison Marigny will also be more than happy to point guests in the right direction of the city�s most popular attractions as well as its best-kept secrets. One guest room has access to the house�s front porch, which is a wonderful place to sit and watch the comings and goings of Bourbon Street. La Maison Marigny is a non-smoking establishment. Children ages 12 and over are more than welcome. 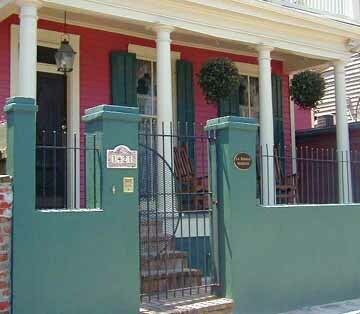 La Maison Marigny is located at 1421 Bourbon Street where the neighborhoods of Marigny and Bourbon meet. This quaint Bed and Breakfast is ideal for travelers who prefer to immerse themselves a bit in the city that they are visiting. A stay at La Maison Marigny will leave visitors with the distinct feeling that they have experienced what it is exactly that makes New Orleans such a wonderful city to visit.